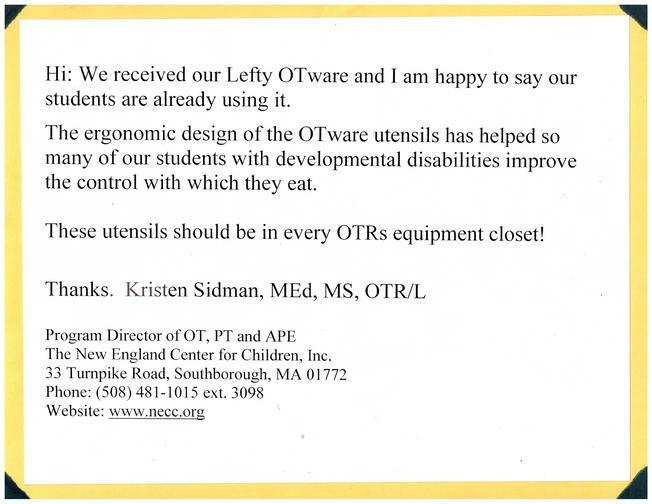 Adaptive silverware, PD, MS, RA, Caregiver release. OT designed. 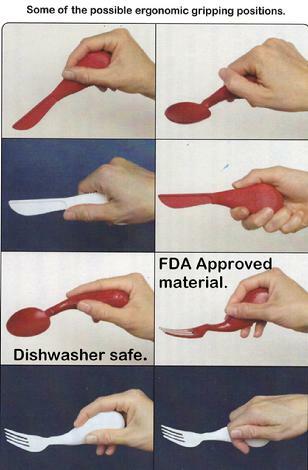 2 RIGHT Handed sets of evoOTware. P & H included. 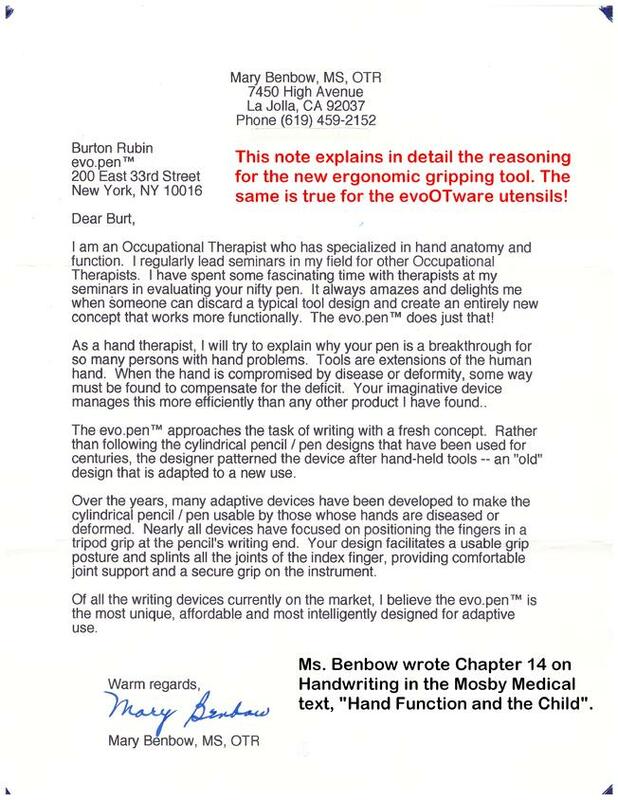 Note LEFTY in messages, if needed. Holiday Special. 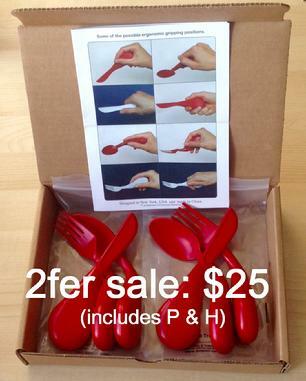 Buy 2 get 3. P & H incl. evoOTware set. 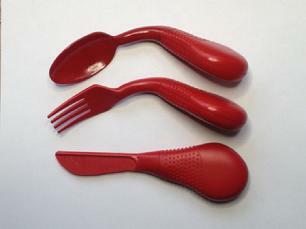 evo.knife, evo.fork evo.spoon. 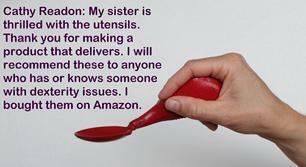 Postage & Handling Included..
Parkinsons. 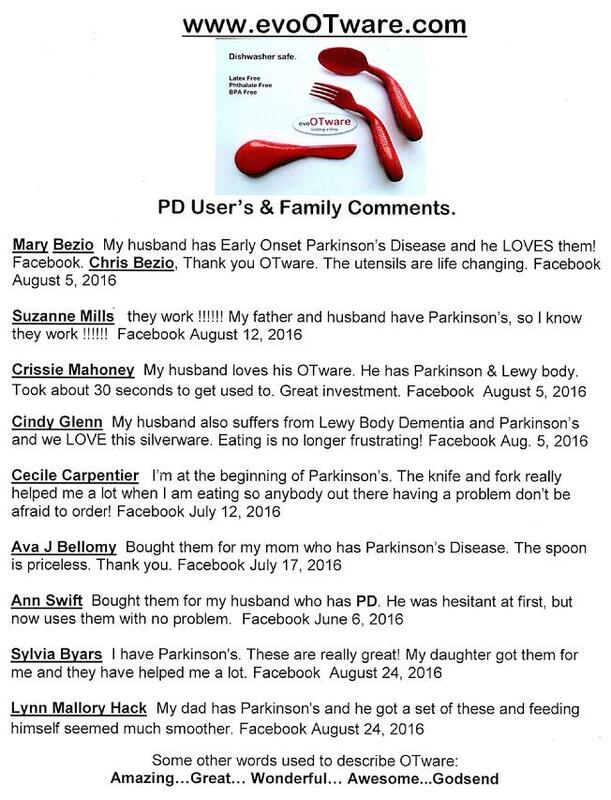 User and family comments. Please click on "why it works" on your right. 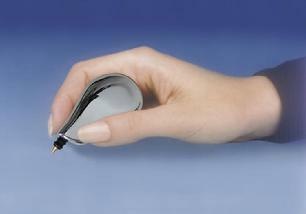 The one minute film shows the use of the revolutionary gripping utensils. 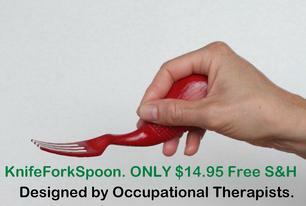 It shows many of the new & natural ways the hand can hold a utensil. Independence for some, release for others. Thank you. The "paypal" Button just to the right will get you Lefty OTware. Just o few of the possble gripping possibilies. Some thoughts about evo.OTware by OT's. 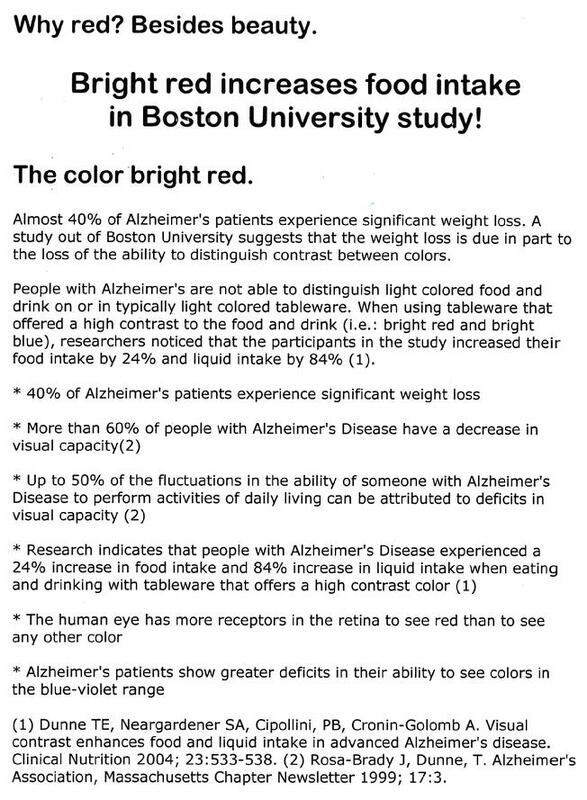 Boston University Study...24% increased food consumption for RED.